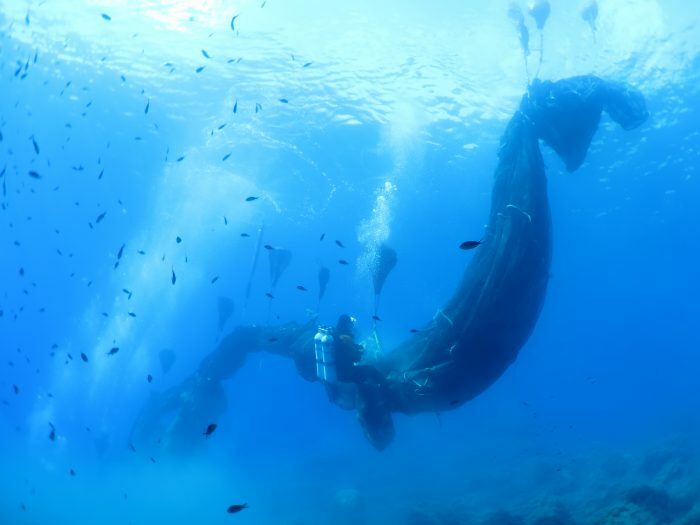 Volunteer divers have recovered more than 4,000 kilograms of discarded fishing nets off the coast of the Aeolian Islands. 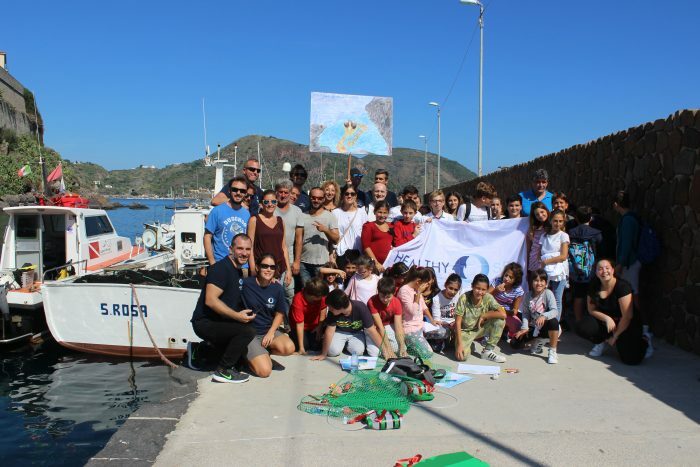 The removal mission, which lasted three days, was a collaborative effort between BLUE, Healthy Seas, the Ghost Fishing Foundation and the Aeolian Islands Preservation Fund. Fishing nets account for 10 per cent of the total plastic waste in our oceans. Endangered bottlenose dolphins, loggerhead sea turtles, sperm whales and dusky groupers have been found entangled in nets near the Aeolian Islands and in the Tyrrhenian Sea, suffering unnecessarily and, in most cases, eventually dying. Pursuing a tip from the locals, the divers were able to recover an enormous fish farm net weighing 2,000 kg which is said to have blown out to sea ten years ago during a large storm. This net proved to be the largest net ever recovered by Ghost Fishing divers, with its removal requiring days of preparation. 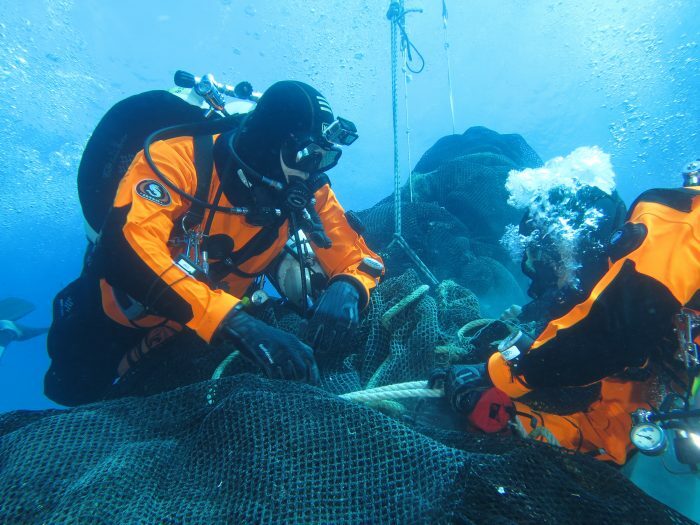 The collaboration also included local fishermen who assisted the team of six divers by allowing their boats to be used during the extraction of the ghost nets and by helping to pull the nets onboard, as the extraction of each net was undertaken by hand and without the aid of machinery. 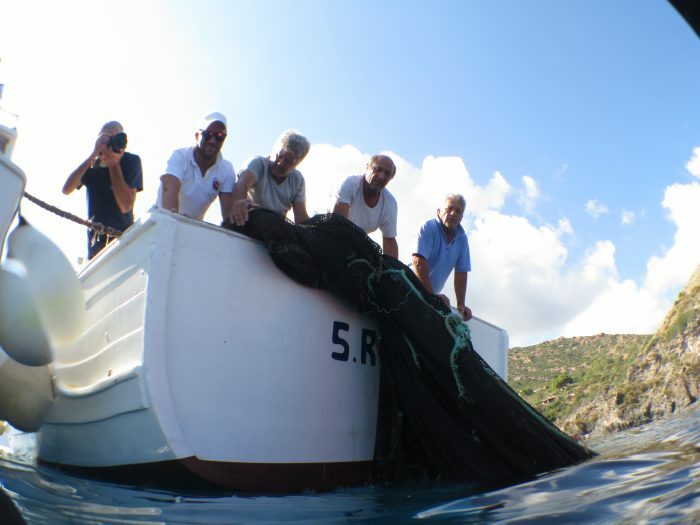 The fishermen, with whom BLUE works closely as part of its project in the Aeolian Islands, hoped their involvement would help raise awareness within the fishing community about the problem of ghost nets. At the harbour, students from local primary and secondary schools had the opportunity to meet the divers and learn more about marine pollution and the damage caused by discarded fishing gear and other forms of ocean plastic. The recovered nets will be cleaned and combined with other nylon waste materials before being transformed into ECONYL® regenerated nylon, an infinitely recyclable material featured within the latest collections by Gucci, Richard Malone and others. This process is undertaken by Aquafil who exclusively sponsored the campaign.